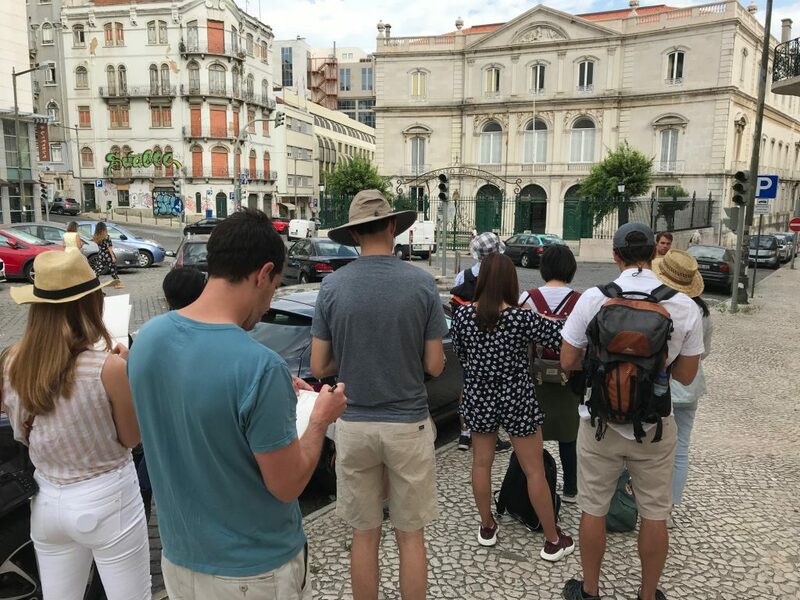 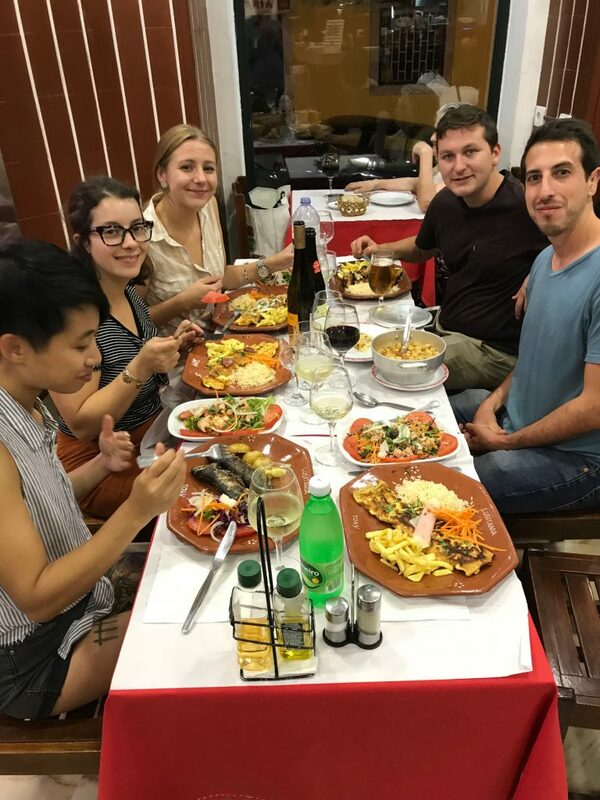 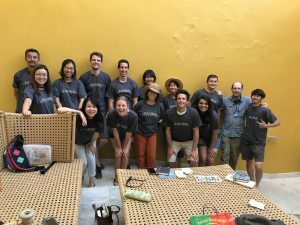 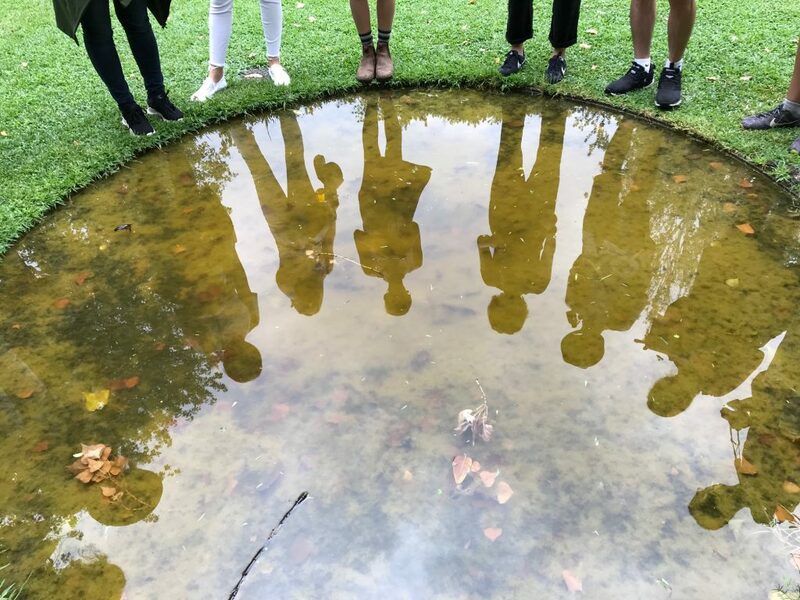 In fall 2018 13 third-year MLA students in LA 7051 Advanced Topics Studio class traveled to Portugal to explore the built landscapes of the historic cities. 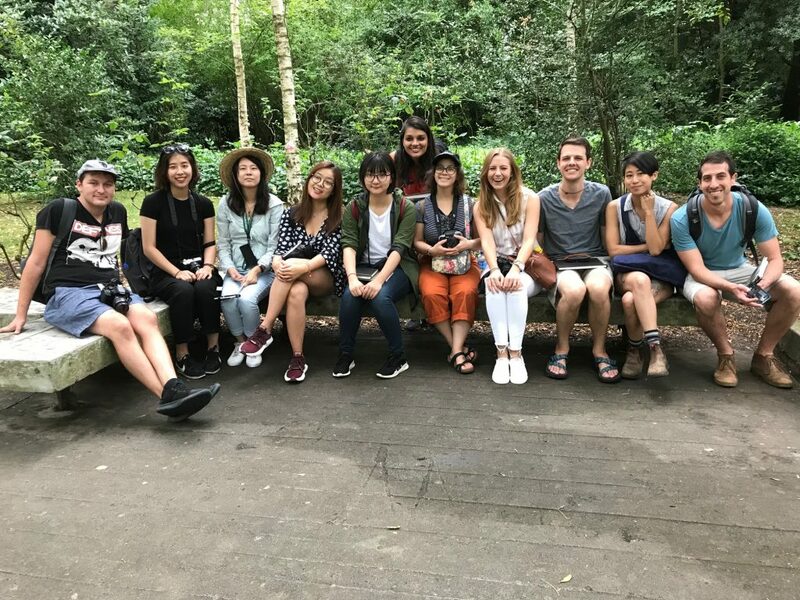 Over the last several years, the 3rd-year MLA design studio has been designed around a field study program in such locations as several US National Parks in Alaska, the South Platte River in Denver, Colorado, Buffalo Bayou in Houston, Texas, and Bosque Chapultepec, Mexico City. 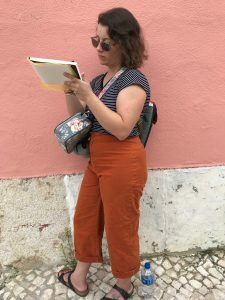 This year the studio class went to Portugal! 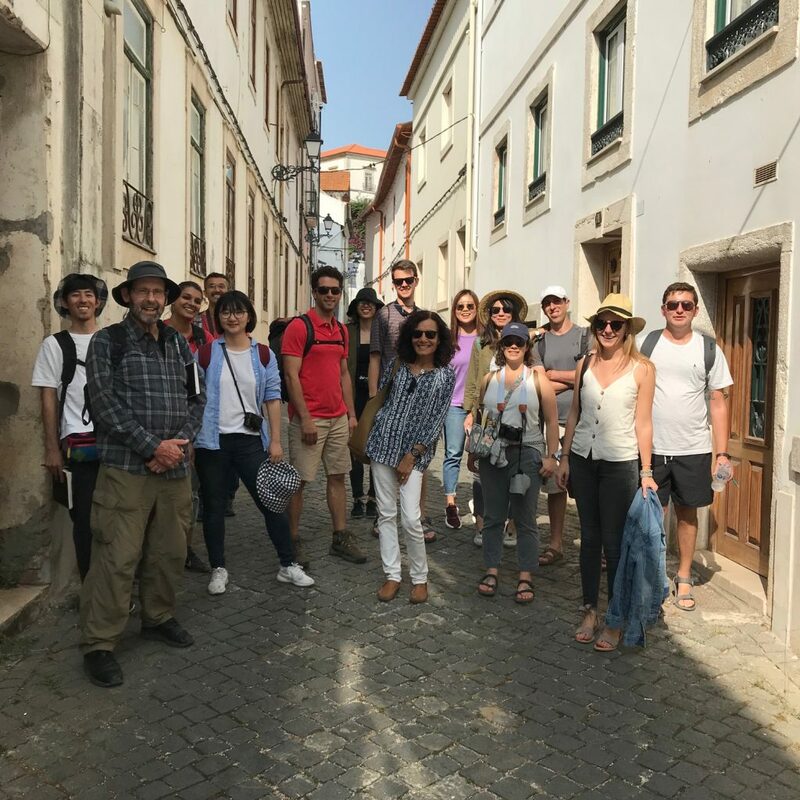 The students traveled to Portugal to conduct extensive field studies. 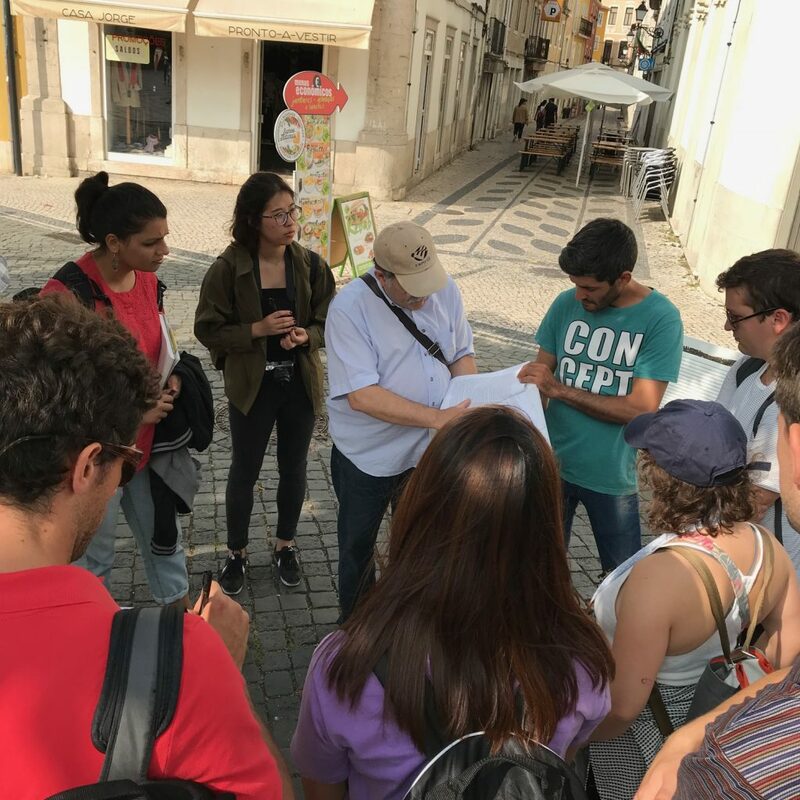 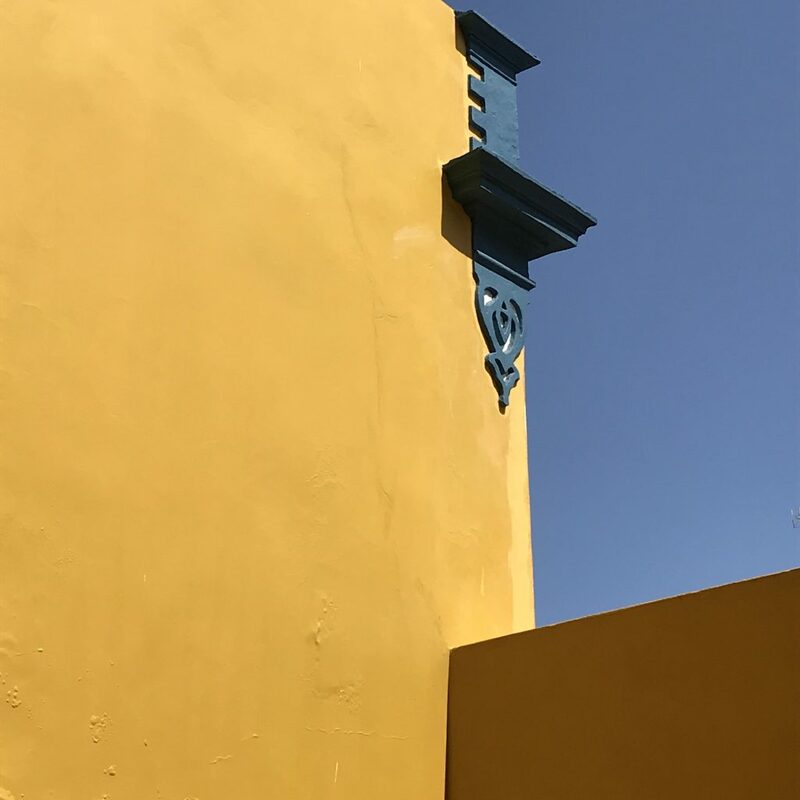 The studio field trip’s aim was to conduct field analysis and documentation of the project site in Tavira, and visit a menu of historic and cultural sites in the Algarve coast, Lisbon, and the UNESCO World Heritage site Leiria. 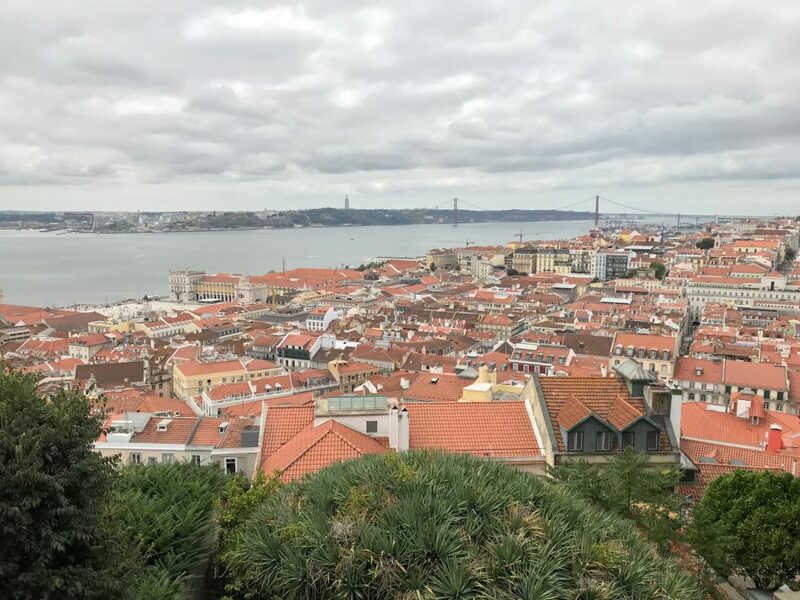 The students visited museums, historical neighborhoods, and public spaces in Lisbon. 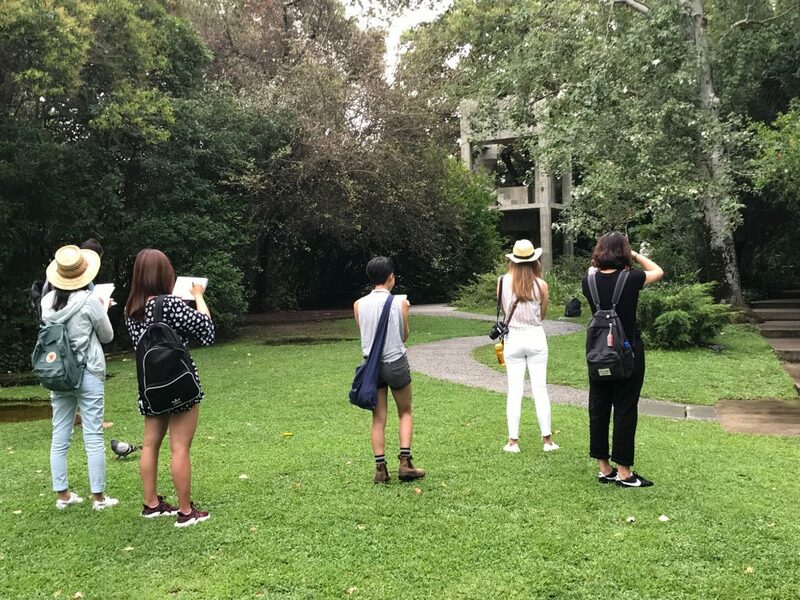 They walked over 16 km and spent hours sketching at the Gulbenkian Museum and in Lisbon gardens. 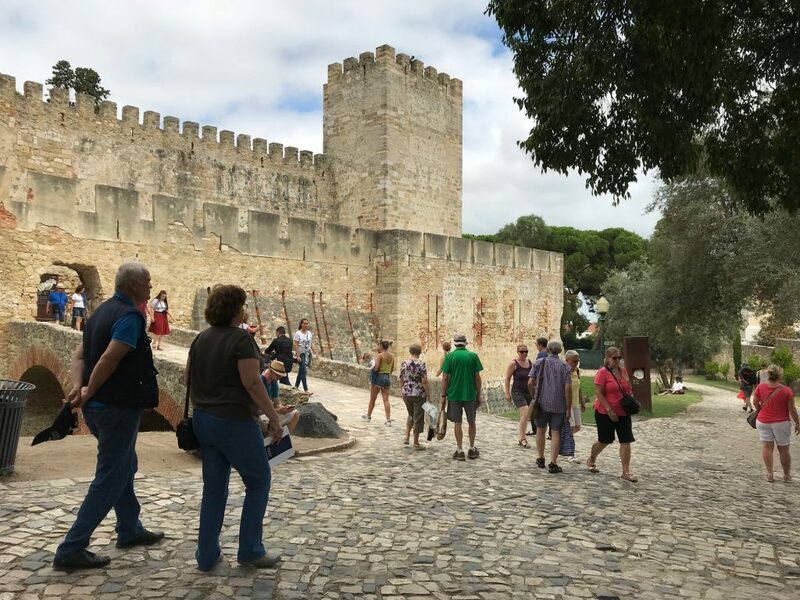 They visited the historic São Jorge Castle, where they saw stunning views of the city. 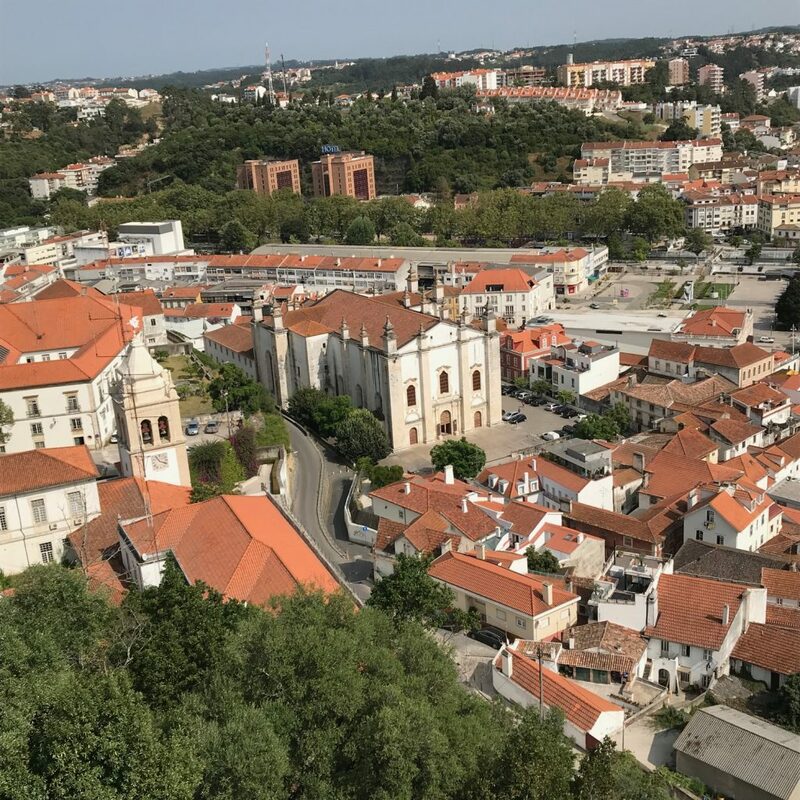 The group took a day trip to the UNESCO World Heritage city of Leiria, north of Lisbon. 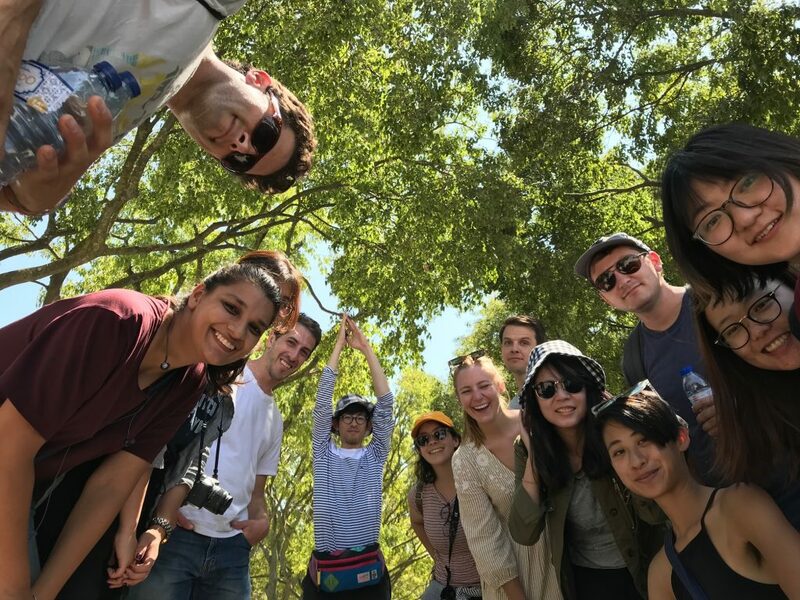 “Our class also had a private tour from two local architects along the newly built greenway of the Lis River. 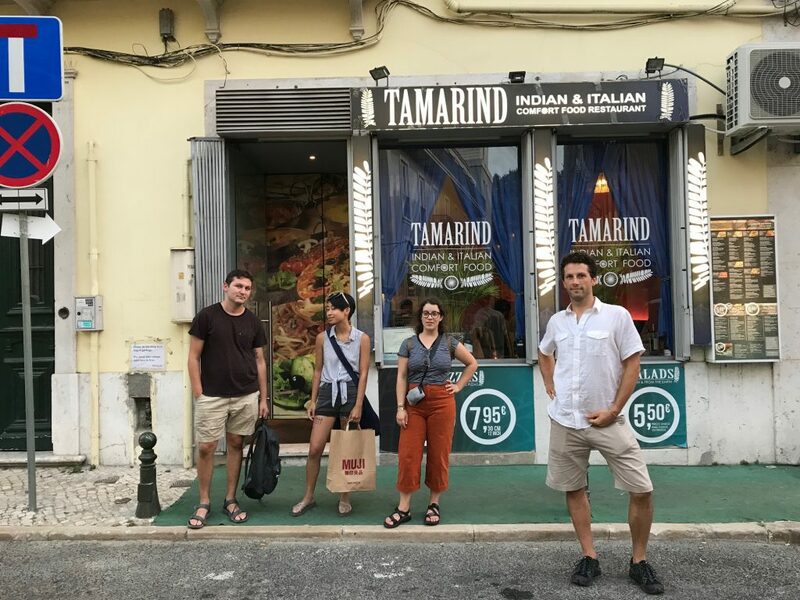 It was great to see firsthand how the city integrated this pedestrian network around its historic roots,” Taylor said. 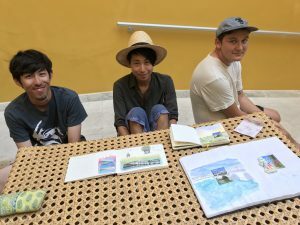 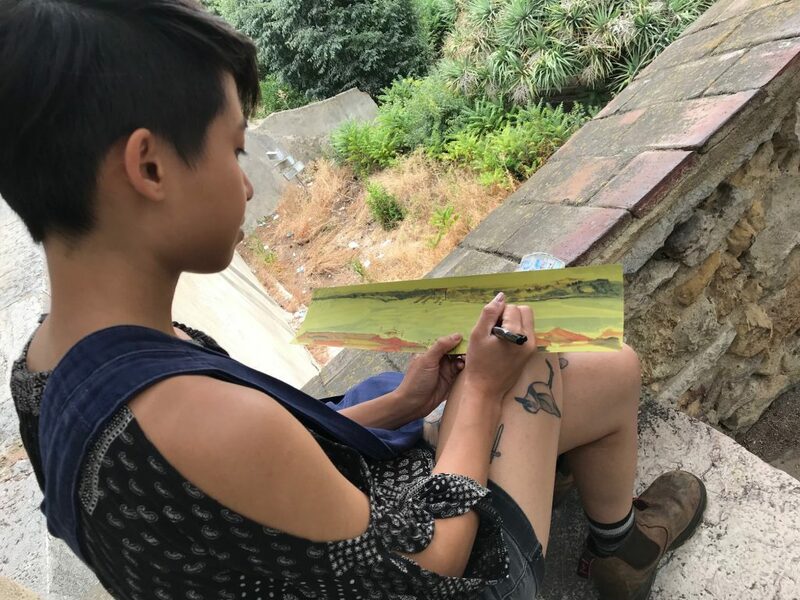 Throughout the field studies the students were charged with maintaining a sketching journal to create line drawings and water colors with the idea of exploring the potential of hand drawing to become critical viewers of what they experienced. 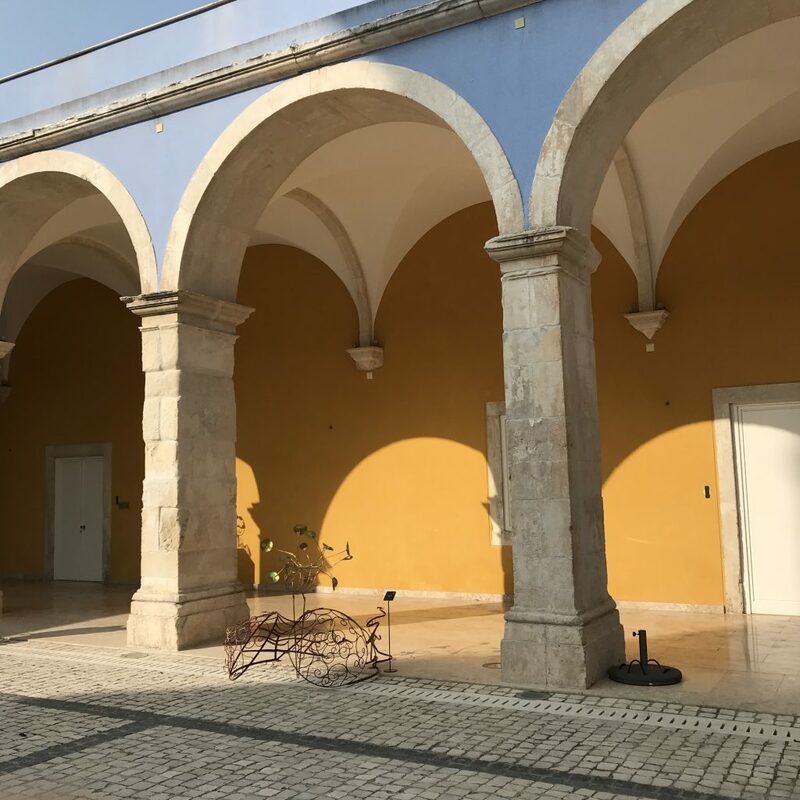 The semester studio is located in the town of Tavira on the Algarve Coast in Southeast Portugal, 40 km from the Spanish border. 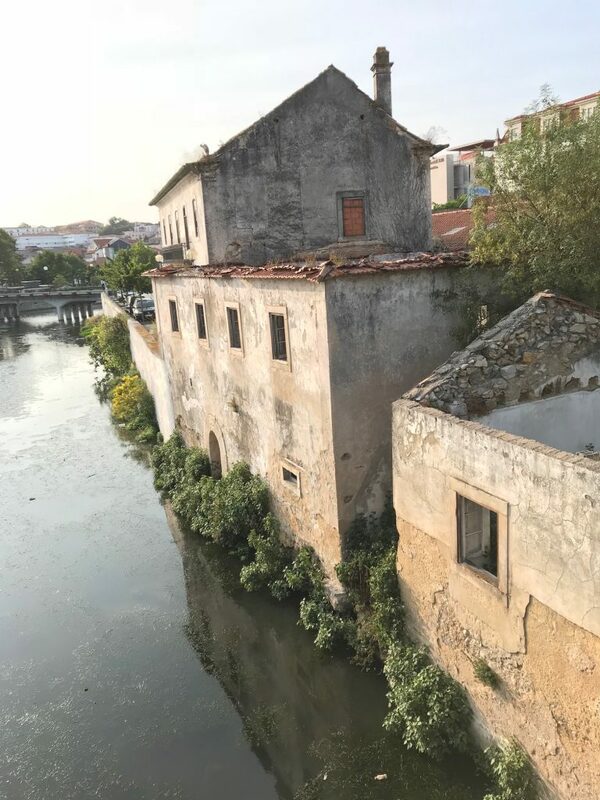 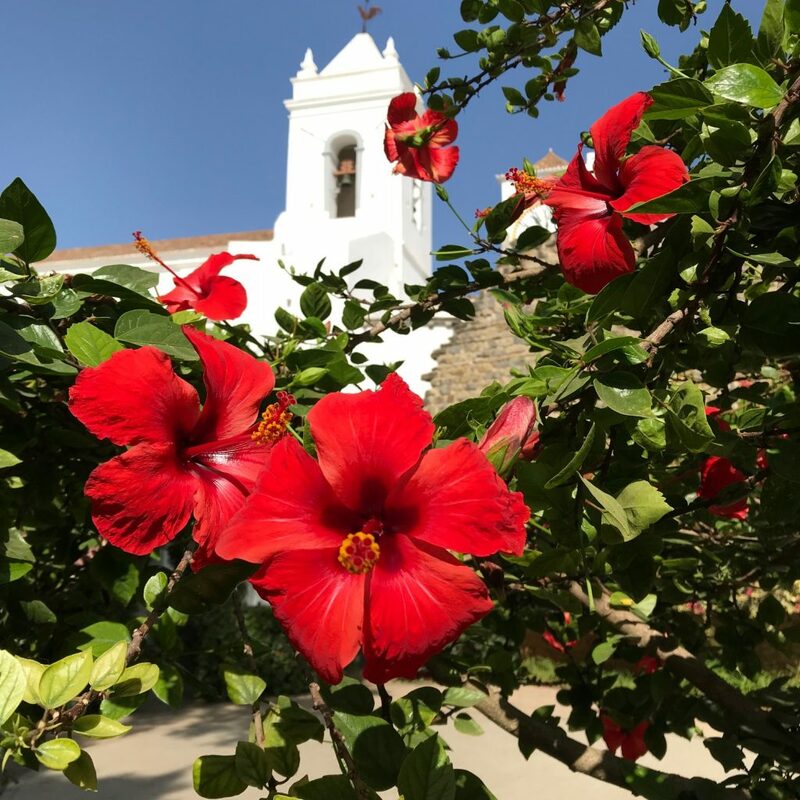 The central inquiry of the studio is to explore ways of accommodating tourism and economic development while maintaining the integrity of the historical, cultural, and environmental patrimony of Tavira. 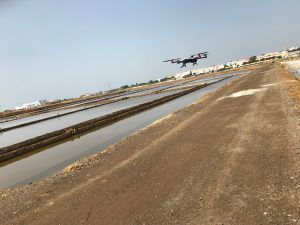 Students used drones to analyse the salt flats around Tavira, and explored the surrounding landscapes. 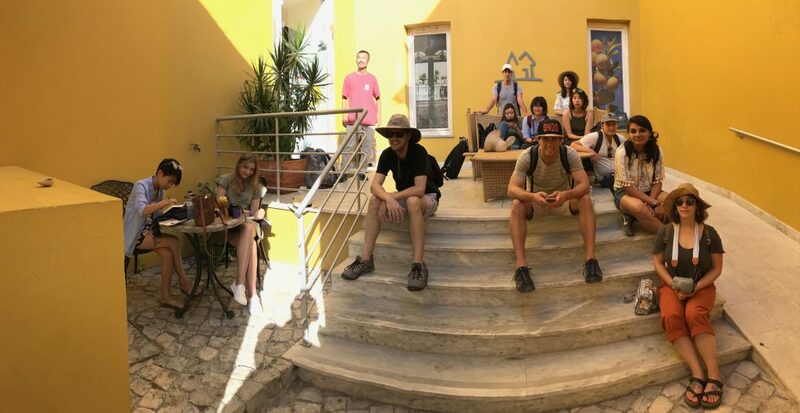 The students each found an individual topic and area (in and around Tavira) to explore in studio this semester. 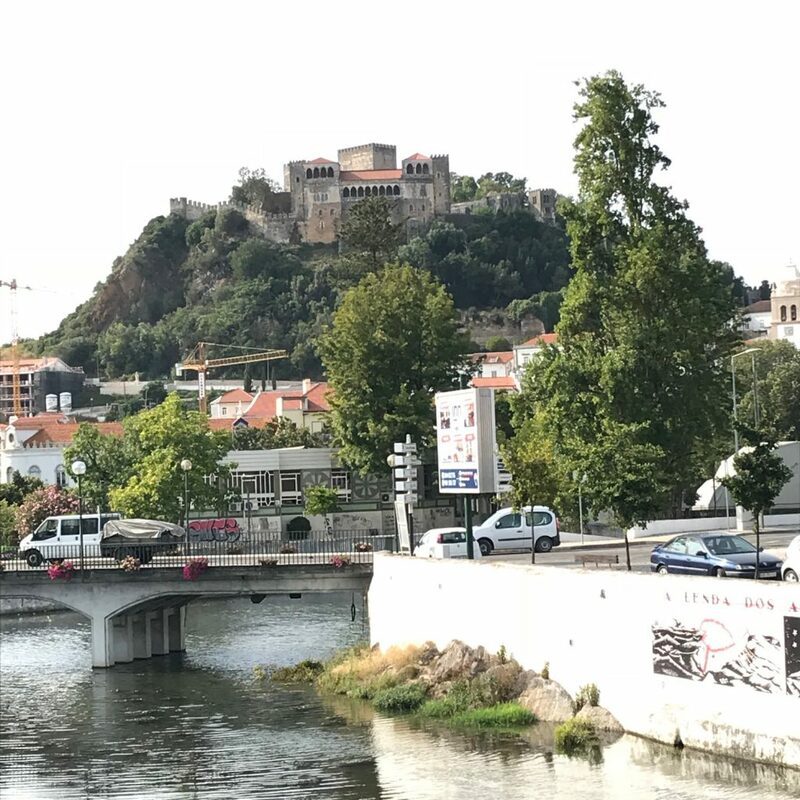 One of the most enjoyable aspects of the trip was simply exploring the Portuguese landscape, the group agreed. 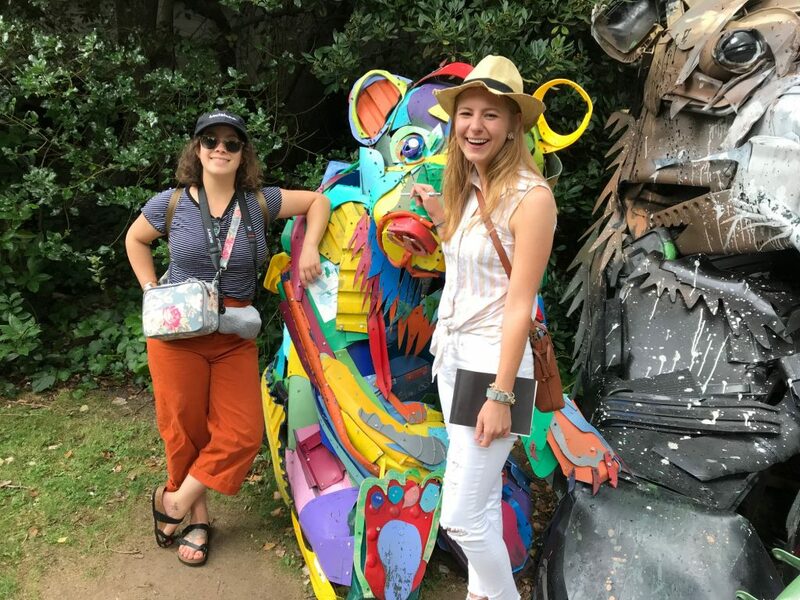 “We used public transportation most of time as well as exploring on foot and bicycle,” Sharky said. 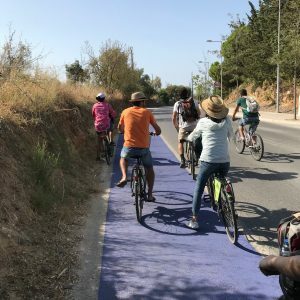 They rented bikes for the group explore the coastal marshes and agriculture lands around Tavira. 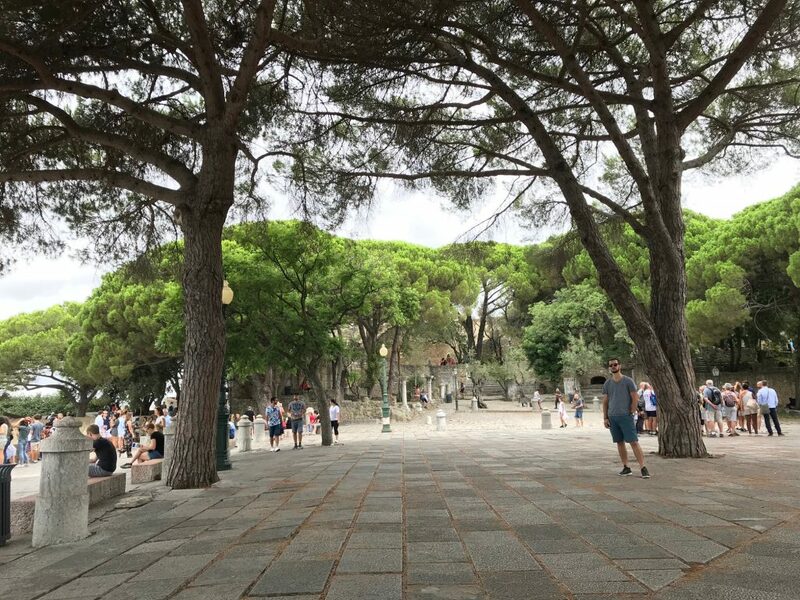 Check out photos taken by the students on the trip.